Small business owners foten do not have the time to address every aspect of their company. This is where Grindstone comes in. By outsourcing several of your operations to a business development company, like Grindstone, you will be able to re-focus your attention on your core business activities. Make the best use of your sales team’s time. Have them closing business. Every single lead we deliver through Business to Business (B2B) telemarketing has agreed to some form of appointment with you or your sales representatives. They have been qualified based on specific criteria, which we develop with you to get you the highest quality, most responsive leads possible. What’s even more, we’ll work with you to make sure no lead ever goes to waste. Regardless of whether they’re ready to buy now, or later, we’ll work with you to ensure that you get the most from every possible prospect. We will work with you to develop a long term strategy for successful prospecting. Grindstone Inc. specializes in a high-touch, non-manipulative, consultative approach that gives our clients the results they’re looking for, consistently. Whether your target is C- or VP-level executives, IT professionals, buyers, OEM or channel sales partners, our skilled appointment setters are ready to supply qualified appointments for your team. Grindstone’s experienced team can work with you to establish specific criteria for qualifying your leads. Grindstone will do the prospecting for you. We will then deliver the leads to your sales team for follow up. Lead generation, as well as lead qualification, requires unique skills. The talents needed to consistently find and/or qualify prospects through business to business (B2B) telemarketing are very different from those needed to close sales. The key reason our clients seek our help is that their sales representatives and sales management are trained and compensated to focus on closing business. As important as it is to the sales process you will need a confident consistent partner to help make the effort to develop new prospects and sales opportunities effectively. We help our clients spend more time meeting with qualified prospects rather than looking for them, or having to qualify them. Our team can deliver sales leads for you and do it less expensively than you can do it yourself. 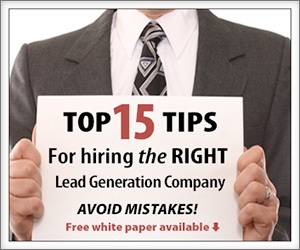 Consider the benefits of an outsourced lead generation or lead qualification solution. Email and Direct mail is simply not enough to get the boost you need for your event. Combine these methods with live experienced professionals to deliver your message and see significantly better results. We can help create awareness of your conference, new product launch, road show, concert, seminar, webinar, trade show, or any event where you need attendees. We can fulfill the registration process as well. Hire us to promote your webinar. Remote presentations are cost effective as well and convenient for everyone. Grindstone can effectively create an audience and give you valuable feedback about your presentation’s likelihood of success. Many software companies have used our services to create an audience for their software demonstrations or training. We all know successful event marketing does not just happen. It relies on numerous factors, including careful planning, proper support, and flawless execution. Grindstone makes sure these activities are carried out in a timely and efficient manner so that your event is a major success. Don’t want the headache that comes with hiring and managing an inside sales force? Every day, more and more companies are opting for some form of outsourced sales structure that allows them to maintain a tighter focus on their core business competencies. We utilize a proven outsourced sales model empowering our clients to focus on their internal priorities. We are able to produce quality results through outsourced sales, while freeing your time and energy to focus on what you do best. The Grindstone direct telesales solution allows your company to satisfy its revenue goals and enjoy the benefits of a top notch sales presence without distracting key internal personnel from their main business focus. We will provide a turnkey, yet totally customizable outsourced sales offering that will provide our client with a dedicated team of experienced sales professionals. 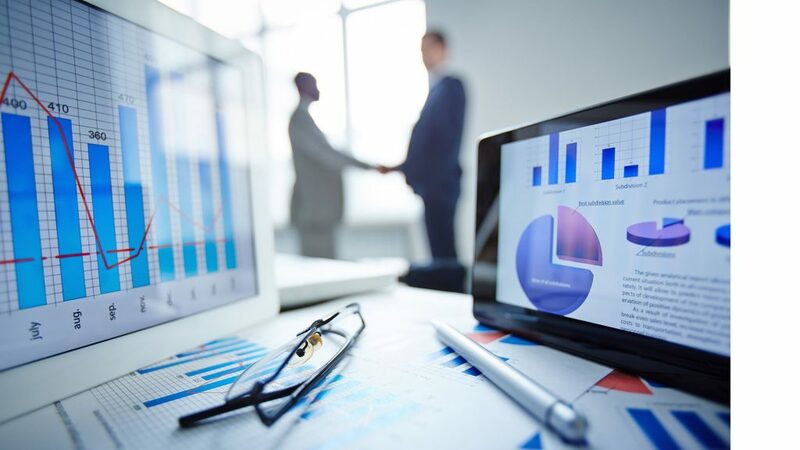 Our experienced management team will work with you to build a dedicated sales force designed specifically to sell your products and services through a mutually agreed on sales processes. The complete sales outsourcing includes us distributing your marketing materials, prospecting, setting & conducting sales meetings, product demonstrations, and most importantly closing new business. For a lower cost and greater value alternative you can utilize our direct telesales solution as a supplement to, or in place of, recruiting, hiring, training, housing, managing and maintaining your own in-house sales department. Let us gather additional intelligence information which will allow your company to assess market patterns and implement more targeted campaigns that yield revenue. We can create custom data capture points in our system specific to your needs. Maximize your marketing and sales efforts. Let us quickly and cost effectively catapult your lead generation campaign with a database that is packed with viable and targeted contacts and information. Our philosophy is to utilize experienced professionals and technology automation working together to maximize results. Our online system can be completely customized for automated lead nurturing and automation activities. We embrace a “multiple touch point” strategy that builds confidence and awareness in your prospective clients. We update your database with email addresses and use digital collateral in our process. We combine this with technology that implements marketing automation with intelligent email and lead nurturing. The days of hard hitting pressure selling are over. Our approach to your market will be consultative, educational, soft selling, and relationship building. It is crucial to establish trust and convey confidence with today’s educated buyer. Each program is managed with the highest level of professionalism. If you have any questions, contact Grindstone Business Development by calling 1-888-724-7463 or click here today!